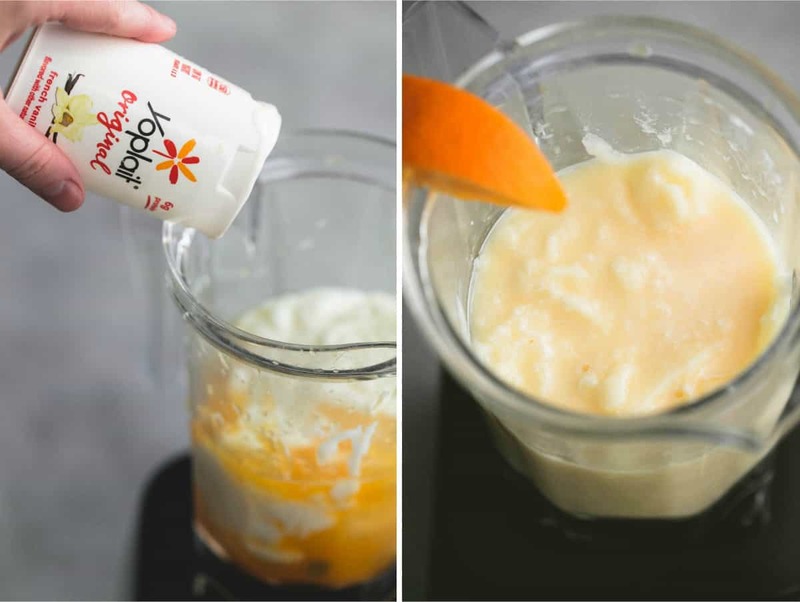 Creamy 3 ingredient orange yogurt smoothie makes a quick and refreshing summertime snack hack ready in less than 5 minutes. Today I’m partnering with Yoplait to bring you a little bit of summertime magic you and your kids will love. I still remember the first time I tried an orange smoothie with my mom at the food court. I went crazy for that cool and creamy treat that tasted like a dreamsicle. I have loved them ever since. 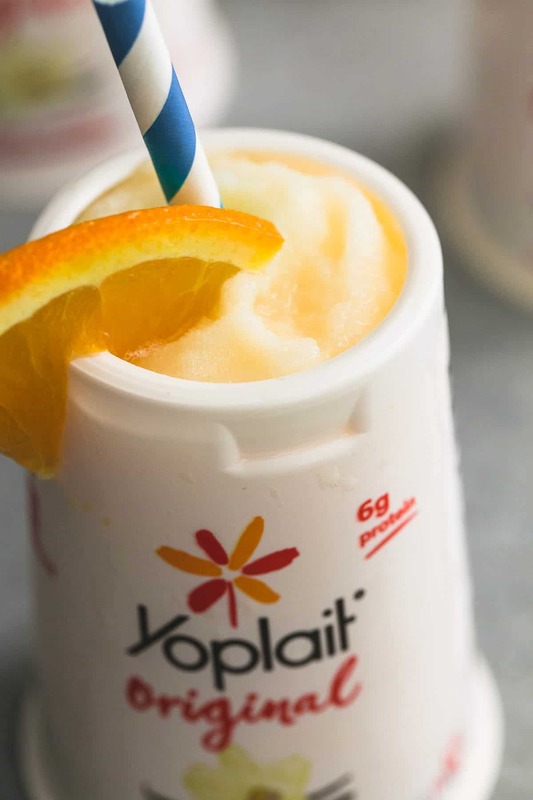 This little treat is made up of three things – ice, Yoplait Original yogurt (packing 9 grams of protein per serving and 25% reduced sugar), and freshly-squeezed orange juice. With no high fructose corn syrup or aspartame, this smoothie is great way to beat snacking boredom, and one I can feel good about feeding my family. 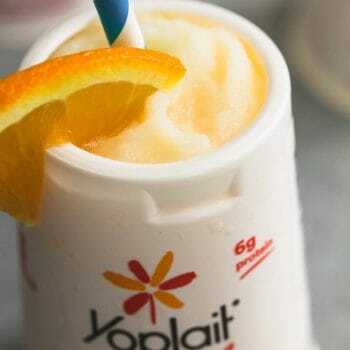 Nothing says Summer like a cool and refreshing, dreamy orange yogurt smoothie! Combine all ingredients in a blender. Cover and pulse until smooth. Pour into 2 cups or into empty yogurt containers and serve. 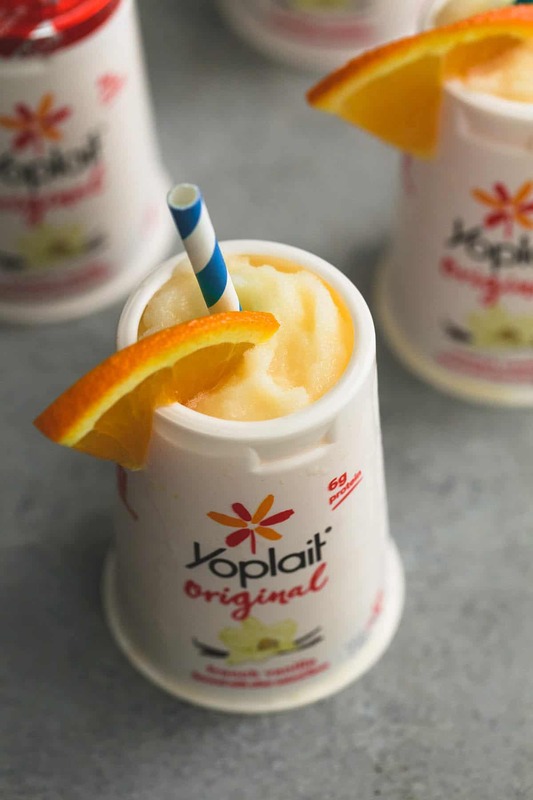 This post is in partnership with Yoplait. More Smoothie Recipes to enjoy! Couldn’t be more simple. Something my wife would love for breakfast!